The statistics from the latest NASDAL Goodwill Survey show a large reduction in the average goodwill values of NHS practices – a continuing trend. 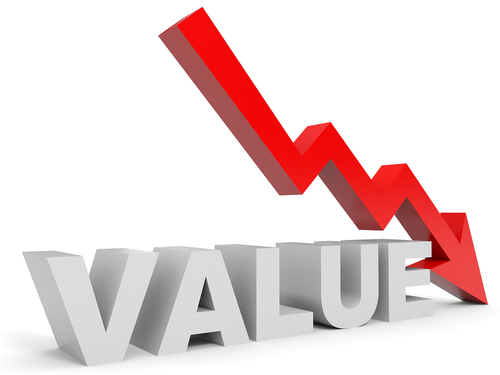 NHS sales saw a drop in goodwill value of 118% of gross fees. Fully private practice sales bounced back to an average goodwill value of 127% of gross fees and mixed practices stayed steady at an average goodwill value of 108% of gross fees. The survey for the quarter ending January 2019 saw a large reduction in the average goodwill values of NHS practices – a continuing trend. NHS sales saw an average goodwill value of 118% of gross fees – down from 177% in the quarter ending October 2018 and from 224% in the quarter ending 31st July 2018. Fully private practice sales bounced back to an average goodwill value of 127% of gross fees and mixed practices stayed steady at an average goodwill value of 108% of gross fees. There is no such thing as a ‘typical’ practice. This, of course, has always been the case but recent surveys are showing even more disparity between practices. For instance, in this last quarter, an NHS practice in the North with gross fees of £2.2 million sold for £5m million (232% of gross fees). A practice in the South East with gross fees of £1 million sold for £530,000 (53% of gross fees). Why then the huge difference? Private equity has certainly caused significant rises and there remains the fact that some practices are simply a better long-term investment than others. The statistics from the latest NASDAL (National Association of Specialist Dental Accountants and Lawyers) Goodwill Survey are collated from accountant and lawyer members of NASDAL on a quarterly basis in order to give a useful guide to the practice sales market. These figures relate to the quarter ending January 2019 and are produced on a quarterly basis and provide a useful snapshot of the dental practice sales market. NASDAL reminds all that as with any averages, these statistics should be treated as a guideline only.